We had a chance to catch up with the founders of Zero Latency to talk about VR arcades and how they offer a theater-like VR experience. If you’ve followed the news surrounding virtual reality over the past few years, then chances are you’ve heard the name Zero Latency thrown around a few times. 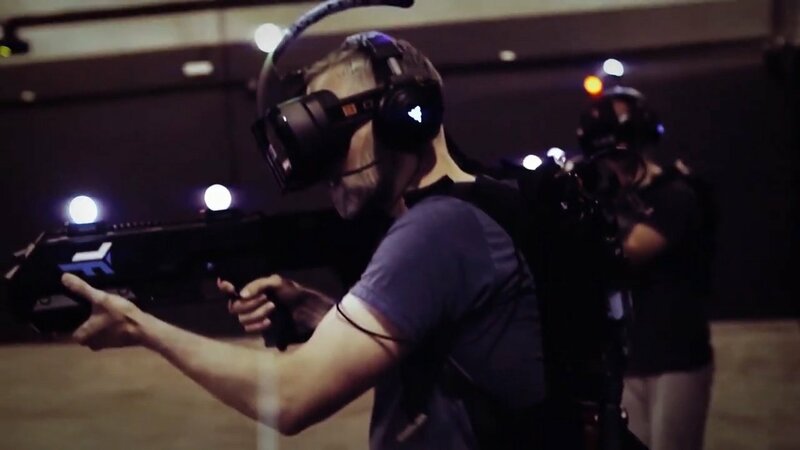 Known for their movie-theater-like VR experiences, Zero Latency is a company dedicated to bringing consumers a wireless, untethered VR experience that can’t be found anywhere else. We recently had a chance to catch up with co-founders Tim Ruse and Scott Vandonkelaar(CEO and CTO respectively) to talk about what Zero Latency is, and the future of VR as a whole. While speaking to Tim and Scott, we were able to learn that they hope to continue to grow Zero Latency over the coming year. This growth includes the ability to offer more experiences from their locations, as well as the opening of thirty to forty new locations around the world. But what exactly is Zero Latency? Well, according to Scott and Tim, it’s basically a large-scale VR experience where you suit up with a backpack, put on a headset, and go into a room with a few of your friends (or strangers if you don’t have any friends along at the time). You can then experience and interact with an open, virtual world that includes both you and the people around you. Their goal with Zero Latency is to bring VR to people in a brand-new way that lets them experience it on a much larger scale than is possible in your home. It’s definitely one of the most immersive ways to enjoy virtual reality and the content that it offers, and the company plans to launch their second-generation set-up sometime in the near future, allowing them to offer even more immersive experiences. You can check out the full interview in the video above and be sure to subscribe to Shacknews and the GamberHubTV channels on YouTube for the latest videos and news. You can also head back over ot our GDC 2019 hub for all the latest info from the conference.